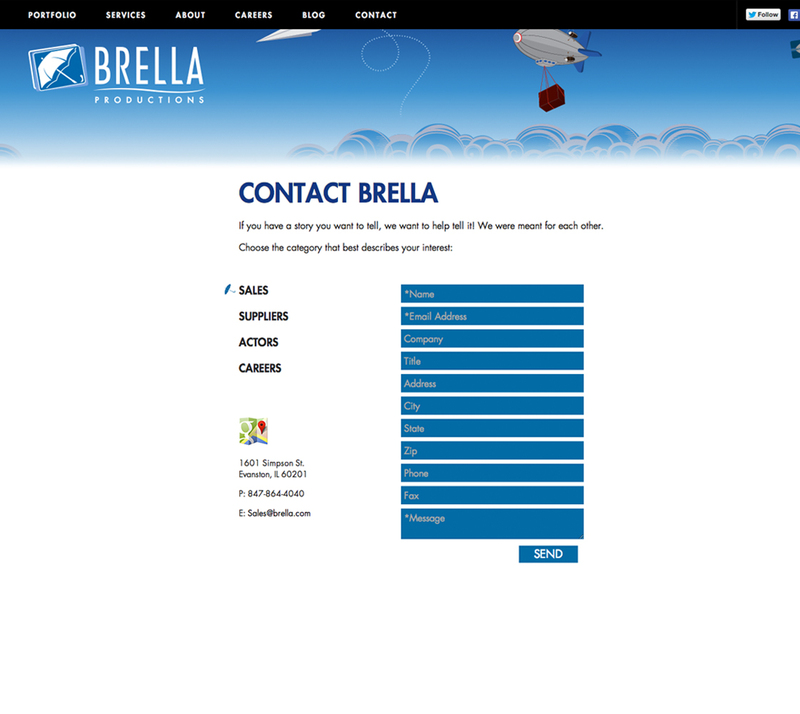 While in Chicago I was working at my old position at Brella Productions one of my major assignments was designing our companies own website and many of our marketing components. The company had a very unusual environment that was extremely colorful, playful, and all around enjoyable atmosphere which was reflected in all of our work. 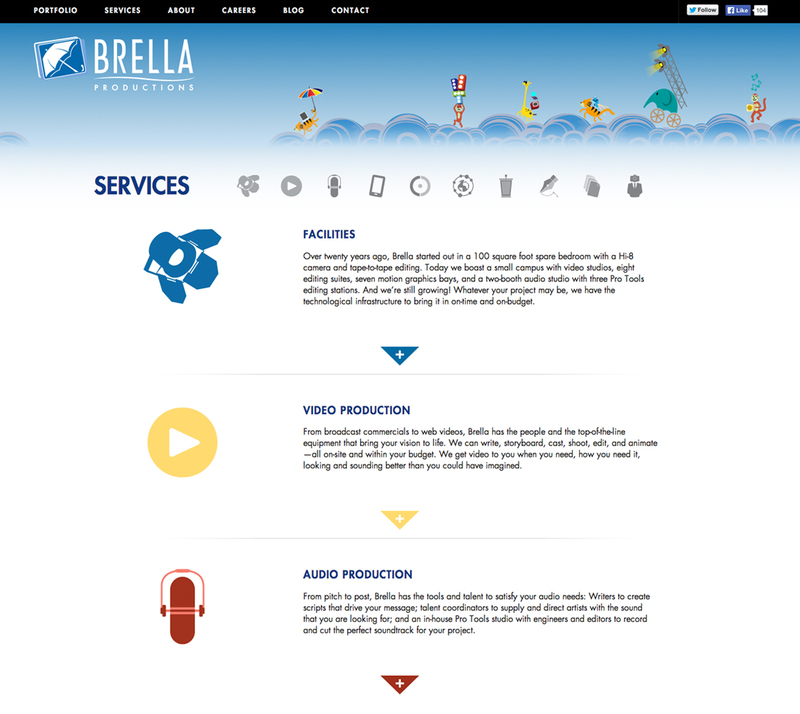 We ended up with several variations of our homepage; some being extremely simple in their required designs while others where on the opposite spectrum and included various parallax components while always retaining a visual capability on all devices and platforms. 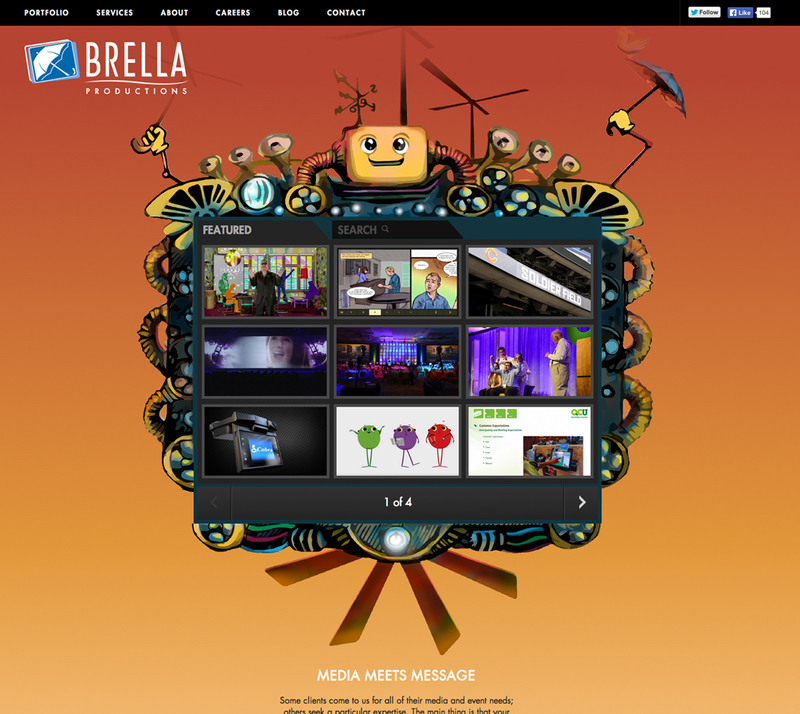 The Homepage concept shown here was on the severely complex end of the spectrum and was a beautifully intricate design that had all components moving on different speeds and as the user scrolled each section would have movement all over but settle for a bit during each appropriate stage of the website with respect to the audiences screen size. 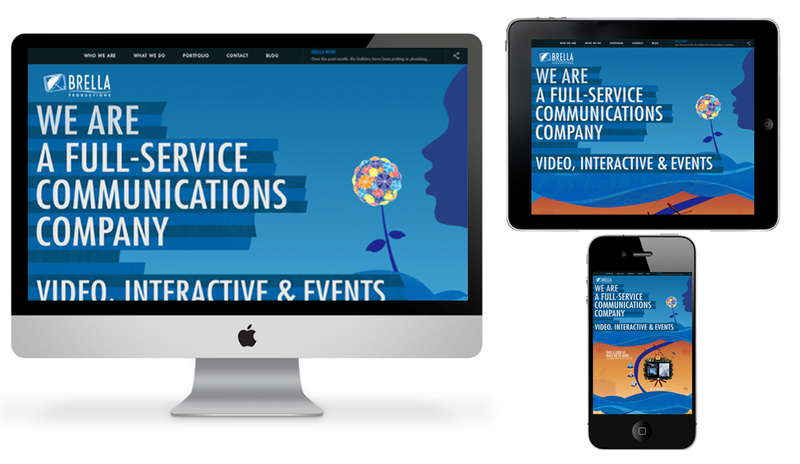 The visual elements involved here were created in collaboration with the other designer working there, but when I came to the homepage I elaborated it quite a bit and built upon all of the website components. 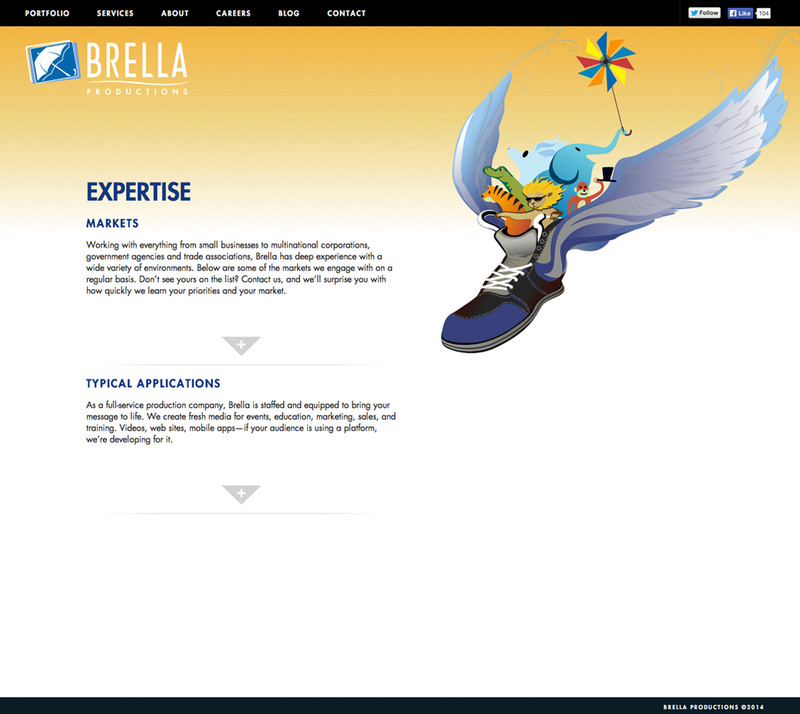 I left my position at Brella at the end of June to move to California and to my knowledge they have not updated their website with this design. Probably because they are busy creating amazing projects for their clients.